The Journey is the Reward. : Moths. There are an unbelievable amount of moths up north. The three moths below were spotted at the Trading Post during a family ice-cream run. I've done a lot of researching and can't figure out what this one is called. Looks like something that could have been used in Desert Storm (Andrew called it a stealth bomber). Please let me know if you can identify it. The Cecropia moth, is the largest of the giant silkworm moths native to Ontario....... looks like a butterfly to me. 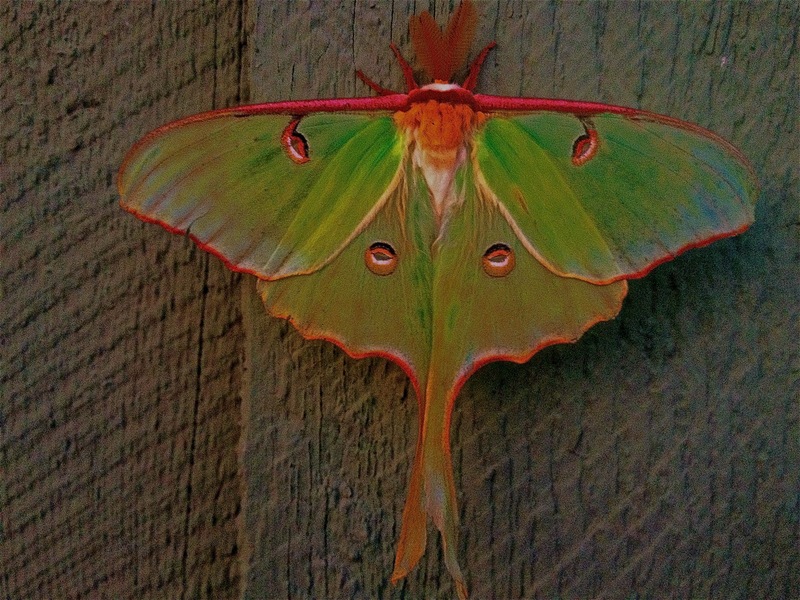 The luna moth is so beautiful. It is also a member of the silkworm family. FYI: This one is male because it antennae are large and bushy.......... the adult luna moth only lives for five to eight days because it cannot eat or drink. This luna let me push open his wings so we can see his 'eyes'. The first one is a blinded sphinx. I'm at work and I'm bored. I wouldn't touch a gross looking one ;-) Thanks for the research!!!!! 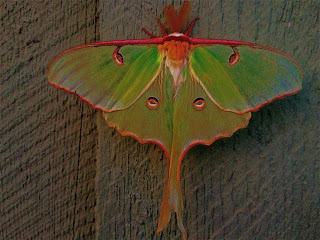 I read a book a little while back that talked about the Luna moth. And now I've finally seen one. Thanks. Even though some of them are quite beautiful, I think they're scary! I love moths and butterflies! These are all really beautiful!